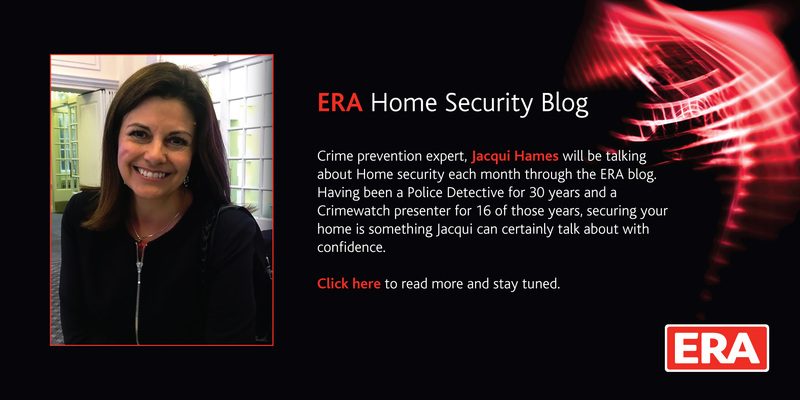 The lovely people at ERA Security have asked me to write a monthly blog on my experiences around law enforcement and home security. How could I say no? To feel secure and safe is a basic need for all of us, and our home is at the heart of that. Over my 30 years in Law Enforcement I met many people who never dreamt they would become victims of crime, but when it happens it cuts us to the core of our being. As a young, and naive, 18yr old I was thrown into the world of policing with absolutely no idea what I was getting into. I won't say exactly how long ago this was, but a couple of years later Margaret Thatcher became Prime Minister. Crumbs! My first posting as a young uniformed PC straight out of training was to Clapham Police Station in South London and I can vividly remember attending my first burglary call as if it were last week. I was sent to a small terraced house with my 'parent' constable, apparently the occupier arrived home from visiting family to discover her front door had been broken into and the house ransacked. The caller turned out to be an elderly lady who lived alone. When we arrived she was waiting outside, still wearing her coat and carrying a bag - she had been too frightened to go further into the house alone. We went in to ensure that no-one was still there. As I walked over the threshold it was like stepping back into the 1940's, the furniture and furnishings were relics of the past, with photographs everywhere of a happy couple getting married, with young and then older children, a handsome man in uniform, and finally an elderly couple with smiling eyes. A scene which was probably replicated in thousands of households across the country. Except this was different. Drawers were pulled out, cupboards opened and contents strewn around. In the bedroom the same scene with clothes and makeup all over the bed. Watching the lady come into the house and see the mess, discover that precious jewellery and other sentimental items had been taken, ensured that I would never attend a burglary again without feeling empathy for the victims. Crime statistics are thrown around by politicians as bargaining chips but the reality is someone's home has been damaged and treasured possessions stolen. Having been a victim myself I know that you never quite get over it. A couple of years after this I went into plain clothes and spent the rest of my police career as an investigator with the CID and then various specialist roles. Thankfully I was able to put many burglars out of circulation but many had one thing in common - they rarely considered for one second the people whose home they had entered. They were looking for an easy option, and they didn't want to get caught. Whilst I carried on with my 'day' job, I was also recruited to work as an expert presenter on the BBC's Crimewatch programme, which I did for 16 years, and also started a media career which still endures to this day. Since leaving the police service, I have been lucky enough not only to have a media career as a presenter, and law enforcement expert, I have also written a book, train police officers in media issues and in Stalking, act as a business and charity consultant and campaign for victims rights. All of which have a common theme - crime prevention. Ultimately, to stop a crime from happening in the first place has to be our aim, stop the damage not only to our property and possessions, but to our whole sense of security. Organisations like Neighbourhood Watch do an amazing job raising awareness of home security, but ultimately it's down to us to ensure our homes and families are safe. Thankfully there are an amazing range of products and services available to us today to help us achieve that. It doesn't matter if you have a small flat or a mansion there are products to match your home and your finances. Technology is moving fast enabling us to monitor our homes and develop bespoke solutions to fit both our lifestyles and our pockets, and I'll be discovering some new and innovative products in this blog. I'm a great believer in security fitting around us and not us fitting out lives around security. We all need to feel the comfort of coming home after a long tiring day, secure in the knowledge we have done all we can to keep it safe.